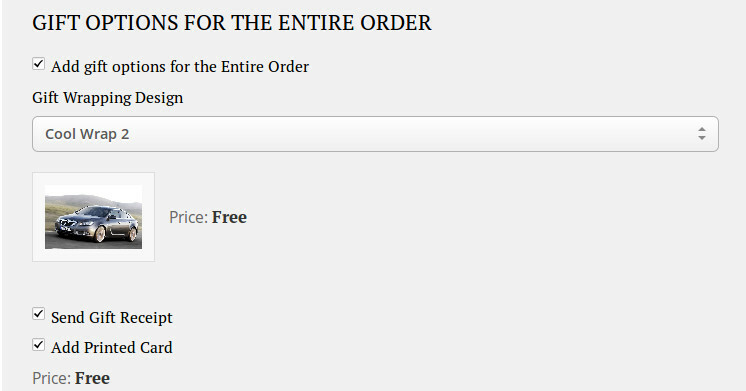 Maybe you’ve wondered how not to charge for the Gift Wrapping Services for customers that have more items in their cart. We’ve gotten a request where client wanted to provide free Gift Wrapping Services (Gift Card, Gift Wrap, Gift Message) for their customers with total basket value above a certain limit. If you are wondering how we did it, keep reading. “In Magento Enterprise Edition, store customers can select a gift message and/or gift wrapping for the entire order, as well as for separate order items, and a printed card, such as a picture post card, to the order. You can process the gift wrapping and printed card, and charge customers for them, as well as add gift messages, gift wrapping, and a gift card in orders that are created from the Admin Panel. Basically we’ll need to rewrite one model and we’ll need to create our helper class which will check for us can we show Free Gift Wrapping Service – only if value of items in basket is above certain limit. Note that now you can see in Magento administration under System/Configuration/Sales/Sales/Gift Options tab new input field where you can specify desired amount for: “Charge for Gift Wrap Service if the basket value is under“. Now your customers will see “Free” price instead of regular one on checkout page for Gift Wrapping service & Printed Card feature. Note that for production ready code you’ll need first to check and decide which amount should be default for your base currency, otherwise system might show free of charge Gift Wrapping Service. Did you have any similar request? How have you handled it? In one of my next posts I’ll show you how you can enable Gift Wrapping module only for customers from certain countries, so stay tuned! I cant understand your last step means 6th step. Please give me brief information for that. If you give me the details info then I can develop this module. I am stuck in last 6th step , what to do there, please explain a bit more so I can carry on this module development.